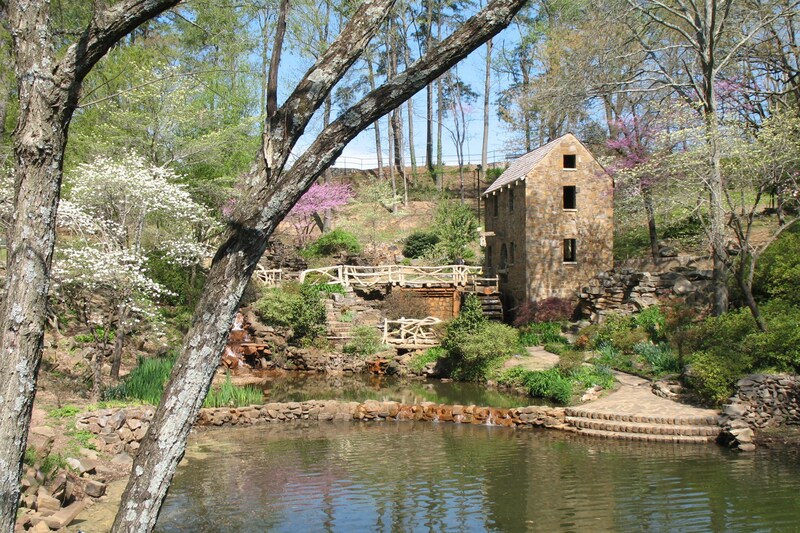 The Old Mill, North Little Rock, Arkansas (featured in the opening of the 1939 film Gone With the Wind). April has always been one of my favorite months. With the exception of the usual spring storms, April is a beautiful time in Arkansas. The leaves are new and green, flowers are blooming, the nice temperatures invite us to play outside in “the natural state” without the stifling heat we know will arrive later in the summer. Yes, pollen covers everything in a fine yellow film, and sneezes are as common as smiles, but it really is a wonderful time of year. My mother’s birthday was in April. She’d have marked her 80th on the 18th of this month (75 was the last she was able to celebrate with us). Her children, grandchildren and great-grandchildren remembered our beloved “Nana” on her birthday this year, sending our love to her in her new home. She and my father were married on April 28, 1953 — so happy 59th anniversary to my dad, who is still with us! Easter is usually in April, and I have many happy family memories centered around that holiday — egg hunts and big meals, family portraits and frilly dresses. John and I welcomed both of our daughters into our family in April. Courtney’s birthday is the 1st (our April Fool child) and Kerry’s is today, the 23rd. Happy birthday to both of these amazing young women who have brought us so much joy. This year, April marked the publication of my 100th Harlequin book – HUSBAND FOR A WEEKEND – another happy celebration for me! The book is still available in stores and on-line (story details on the home page). I hope you’ll check it out, if you haven’t already. And this month I’ve also released a somewhat different-for-me paranormal story for Kindle only (and free Kindle reading app for PC and smartphones, if you don’t have a Kindle). So it has been a busy and memorable month. Today is absolutely gorgeous here in Arkansas, a little cool but sunny and clear. While I’m working on my next book, I’ll take breaks occasionally to wander outside and admire the blooming roses and smell the honeysuckle (and maybe sneeze a few times, but I’m used to that). Whatever your weather today (even snow in some parts of the country! ), I hope you find a few moments to appreciate the small pleasures.